WASHINGTON: Months behind schedule and more than a year behind archrival Bell, the Sikorsky-Boeing candidate to replace 2,000 Black Hawk helicopters took flight today for the first time. It’s particularly good news for Boeing after a brutal month. 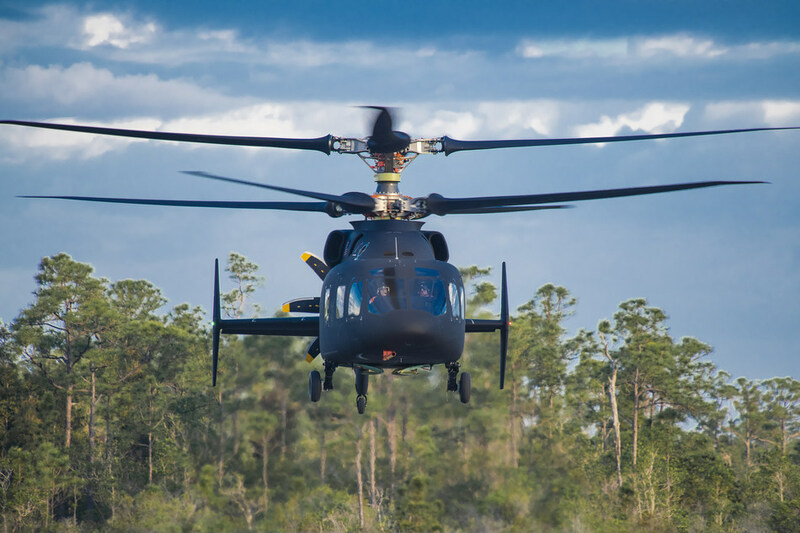 It’s also good news for the Army, which is early pursuing Future Vertical Lift aircraft with the speed and range to survive on future battlefields against Russia or China. 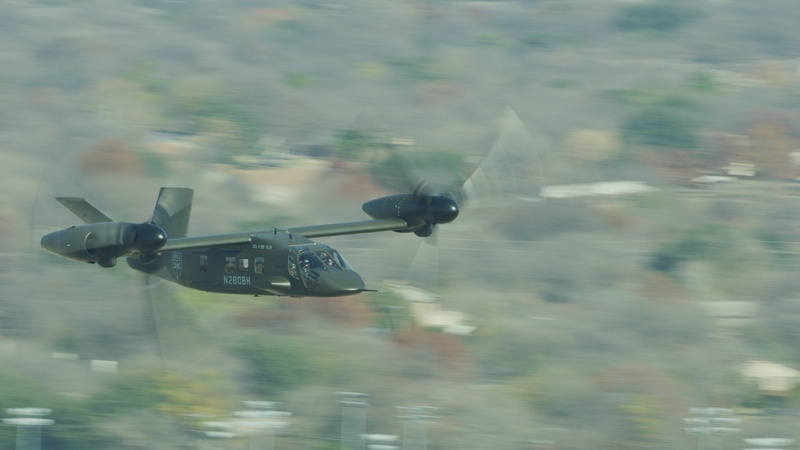 The Sikorsky-Boeing SB>1 Defiant achieved first flight 15 months after Bell’s V-280 Valor first flew in December 2017. In fact, Bell’s finished most of its flight testing and is pondering extra credit tests or even a road trip to major Army bases to show off. The main thing that’s delayed Defiant, it turns out, is also the main thing that makes it attractive to the Army —its newer technology. 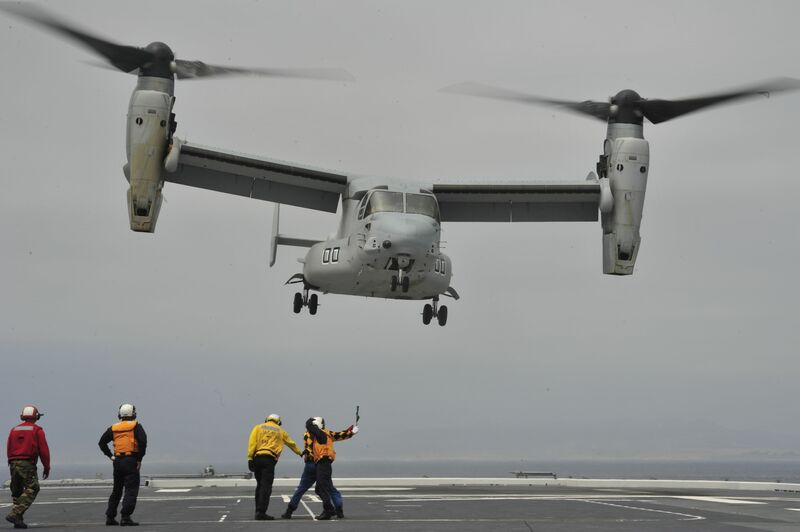 Unlike Bell’s V-280, which scales down and improves well-proven tiltrotor technology from the widely used V-22 Osprey, Sikorsky’s compound-helicopter tech is a new and different design never used on an operational aircraft. Its only predecessors are Sikorsky’s experimental X2, now in the Smithsonian, and a pair of S-97 Raiders, the SB>1’s smaller siblings, one of which got totaled in a hard landing in 2017. Novelty is risky. Defiant may just not perform as advertised. But if it does — emphasis on if — it could offer the Army all the speed and range it wants in its new Future Long-Range Assault Aircraft (FLRRA) to replace the Black Hawk, and all the low-altitude, close-quarters agility pilots love about traditional helicopters. SB>1 Defiant on its first flight, March 21, 2019. If you look at Bell’s V-280 and the SB>1 side by side, it’s immediately apparent that the V-280 is wider. A tiltrotor like V-280 positions its two main rotors on either side of the fuselage, left and right, so they can tilt down (hence the name) to act as giant propellers for high-speed, fuel-efficient horizontal flight. A compound helicopter, also has two rotors (rotating in opposite directions to balance torque), but they’re stacked one on top of the other — so compactly, in fact, that one of SB>1’s big issues was the computer control and ultra-rigid materials required to keep them from vibrating out of control and hitting each other at high speeds. Intuitively, a narrower design should be easier to maneuver in tight quarters like a city, the kind of combat environment the Army is increasingly anxious about. If you looked at video of each aircraft taking off — which we don’t have yet for Defiant — you’d see another difference. The V-280 has to tilt its rotors through 90 degrees to switch from producing mostly lift (for takeoff), while a compound helicopter can just fly away, even backwards, if necessary, in tight quarters. It’s pretty clear the Sikorsky-Boeing compound helicopter won’t be as fast as Bell’s tiltrotor in forward flight. And the exacting rotor specifications that so delayed this first flight suggest it won’t be easier to manufacture than a tiltrotor, either. So if Defiant doesn’t win on agility, it probably doesn’t win at all. But agility is something you can’t prove in a simulator, not to a combat pilot’s satisfaction. Just like Valor, Defiant will have to prove itself in the air — and now it has the chance.